Many people think women are already protected by the United States Constitution--after all, many other countries have constitutional protections for women--but the U.S. does not! 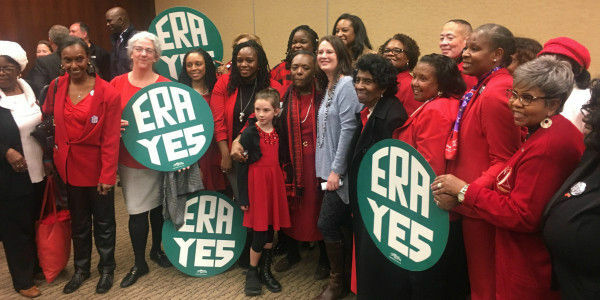 The Equal Rights Amendment (ERA) is a proposed amendment to the U.S. Constitution that guarantees women's rights, unlike laws which can expire or be changed. The ERA fell just three states short of ratification in 1982, which is why so many Americans think we already have it. We do not! In March 2017, Nevada surprised the nation and was the first state in over 30 years to ratify the ERA. In May of 2018 Illinois followed suit. We just need ONE MORE STATE to make history! The next most-likely-to-ratify state is Virginia. The ratification resolution has passed in the Virginia Senate, but its fate in the House chamber remains unclear. There is opposition by House Speaker Kirk Cox to bringing the ERA to the floor for a vote, so the constitutional rights of all American women are essentially riding on the whims of one man. Please sign this petition to urge Speaker Cox to bring the ERA to the floor for a fair vote and be the final state necessary to enshrine women's equality in the U.S. Constitution.